Add some extra security to your shed, summerhouse or gate with a Double Handed Press Rim Lock. 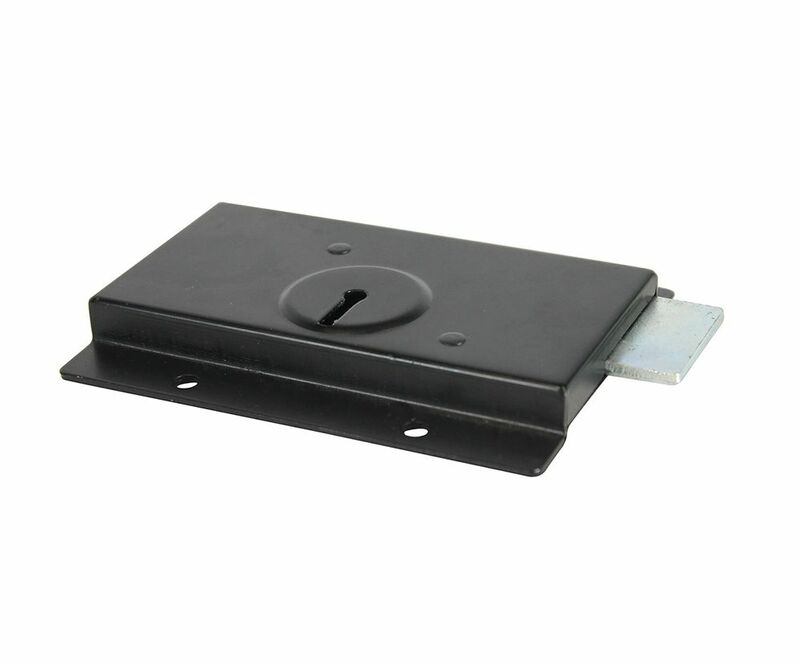 Made from mlld steel well known for its strength and protected with a black finish which is both decorative and weather resistant, the lock is to be fixed in position on the surface of the door. Suitable for both left and right handed doors the lock measures 125mm and is supplied with 1 key. The lock is key operated from both sides. Please note: fixings are not included, supplied with 1 key.